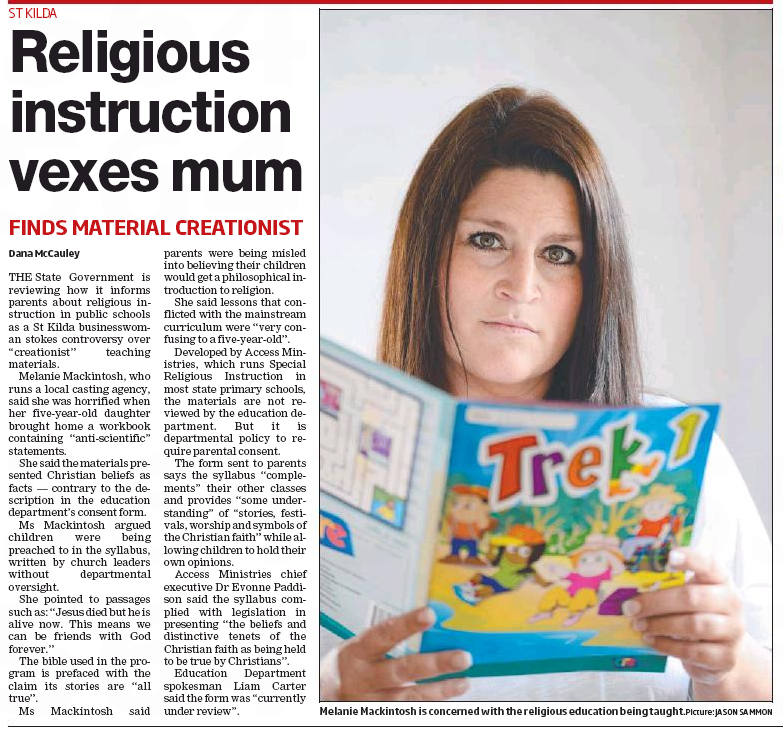 St Kilda mum shines a light on informed consent in religion debate – Port Phillip Leader, 2nd October 2013, by Dana McCauley. Click the image below to read the full story or access the online version of the article. 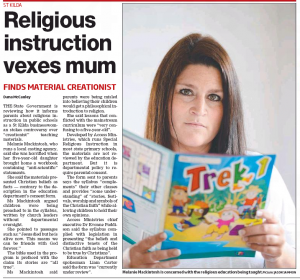 A St. Kilda Mother takes a close look at the ACCESS Ministries curriculum that her five year old daughter brought home and goes looking for some answers. She discovers that the information given to parents by the Department of Education is misleading. The material used in these classes has not been approved by the Department. Because of her efforts, the Department has announced that they will review the information given to parents. 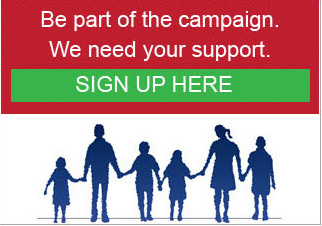 Visit our Facebook page for 60 plus comments on this article.